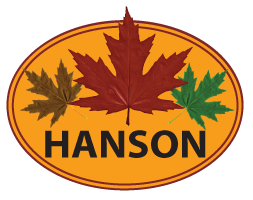 Needless to say, it has been a crazy winter for Hanson Landscape and the entire state of Illinois as we look forward in 2014. Our plows and salters have been running on what seems to be a non-stop schedule as the snow and ice keep coming in. After Monday and Tuesday’s extreme chill, we decided to do some research on the winter storms and temperatures we have seen this winter thus far. According to the Chicago Weather Center Blog, Chicagoland has already had 11 sub-zero temperature days. This number of sub-zero days has only been passed in 4 of the past 143 years (we assume this is the time frame in which they began recording temperatures in Chicagoland). Additionally, the opening 8 days of January have been the ninth coldest since 1871 with an average reading of 7.8 degrees. With all of this cold and snow coming through, we encourage everybody to keep warm and stay indoors if possible. There is still much more snow to come and we look forward to helping our customers have a safe winter. Stay warm, be safe, and keep watching for updates on winter storms!